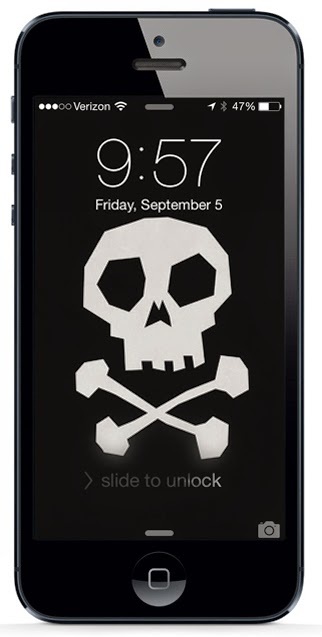 Here's another free Halloween wallpaper featuring a spooky skull and crossbones. To install it, first access this post directly on your iPhone. 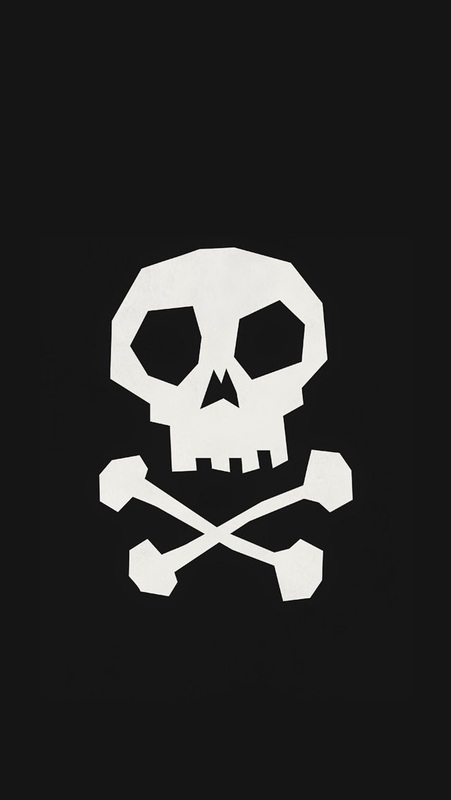 Next, save the image below to your phone. Now go to "Photos" on your phone. The image should be there, waiting for you. Tap the "Share" icon on the bottom left, then tap "Use as Wallpaper." Move and scale the image if necessary, then tap "Set" and you're done. Happy Halloween! For more Halloween freebies - including treat bag toppers, lunch notes, digital paper and much more - just follow this link.